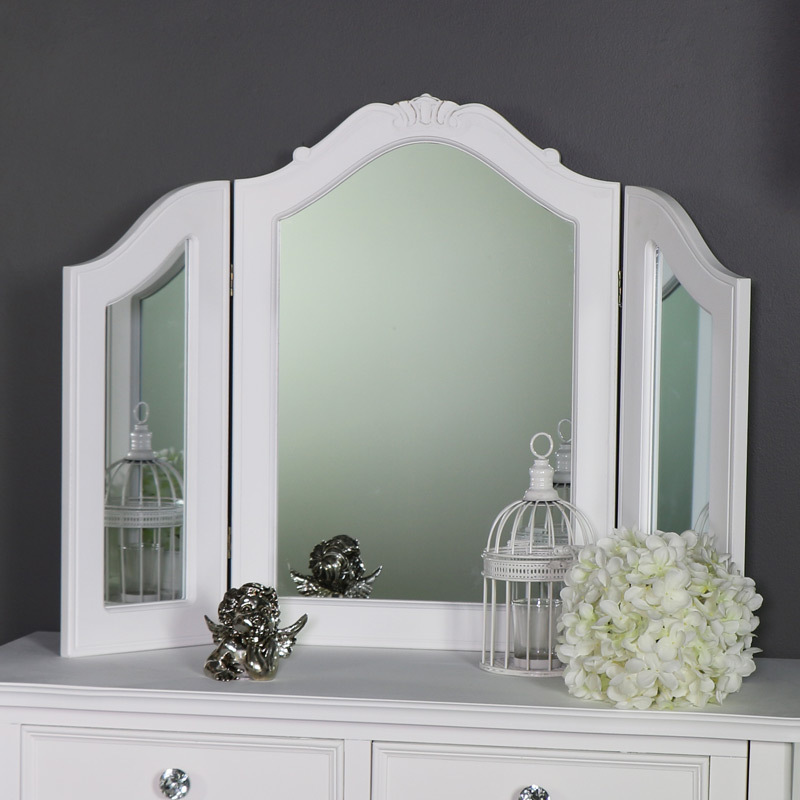 This stunning mirror belongs to our Elise White Range. 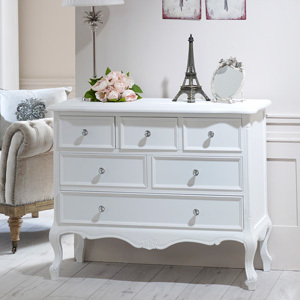 Elegant and ornate design in a triple style. 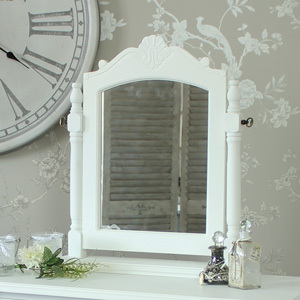 This mirror would look fantastic used on its own or teamed with our Elise White dressing table and stool. 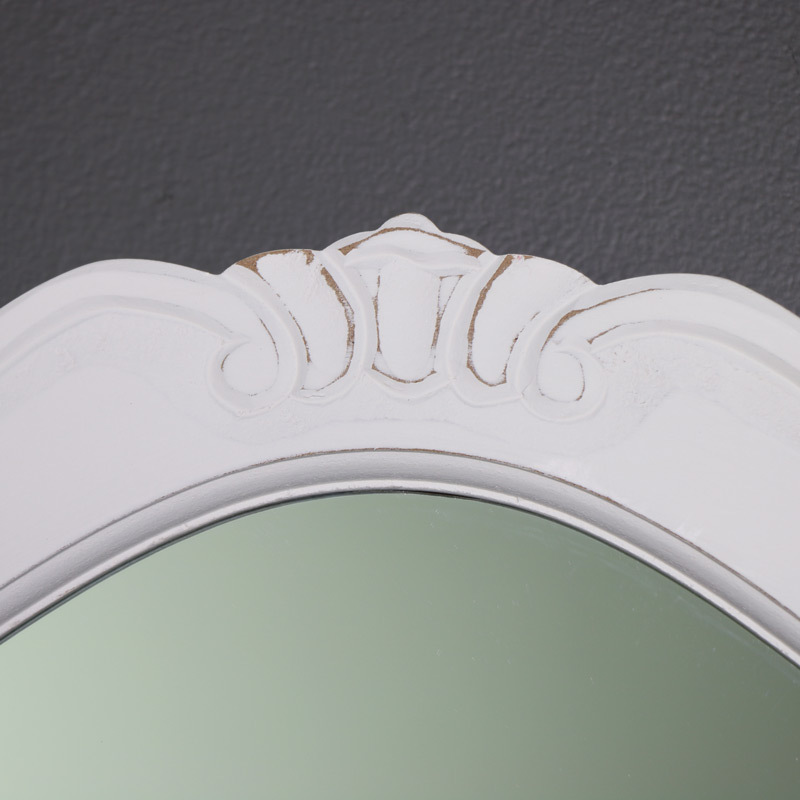 Table top design with ornate carved detailing in a vintage French style. 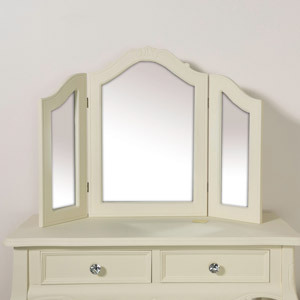 Three panels that allows you to catch all your best angles. 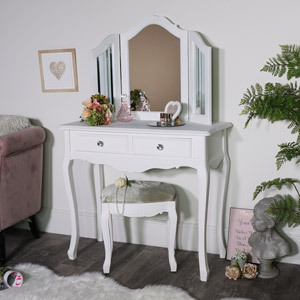 Both functional and stylish, this will sit perfectly on top of our Elise White dressing table set. 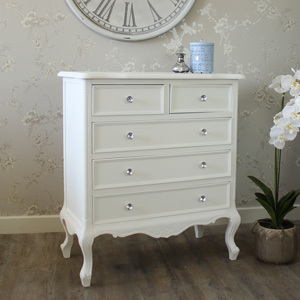 With even more furniture available in this stunning range for you to fully furnish your home. 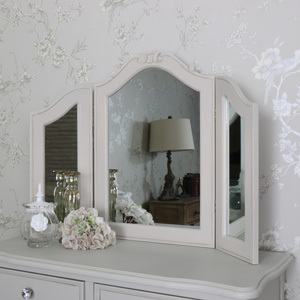 This stunning mirror belongs to our Elise White Range. 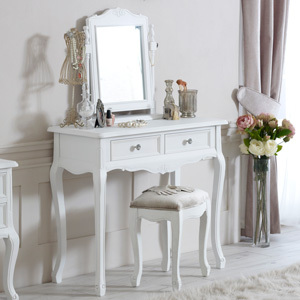 Elegant and ornate design in a triple style. 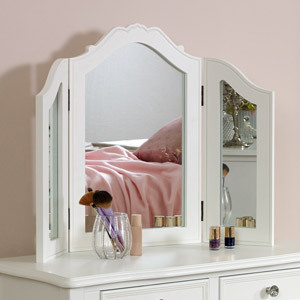 This mirror would look fantastic used on its own or teamed with our Elise White dressing table and stool. 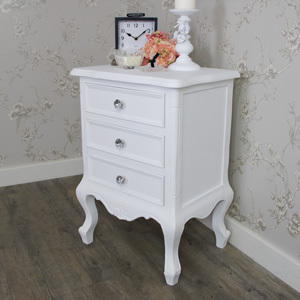 Table top design with ornate carved detailing in a vintage French style. 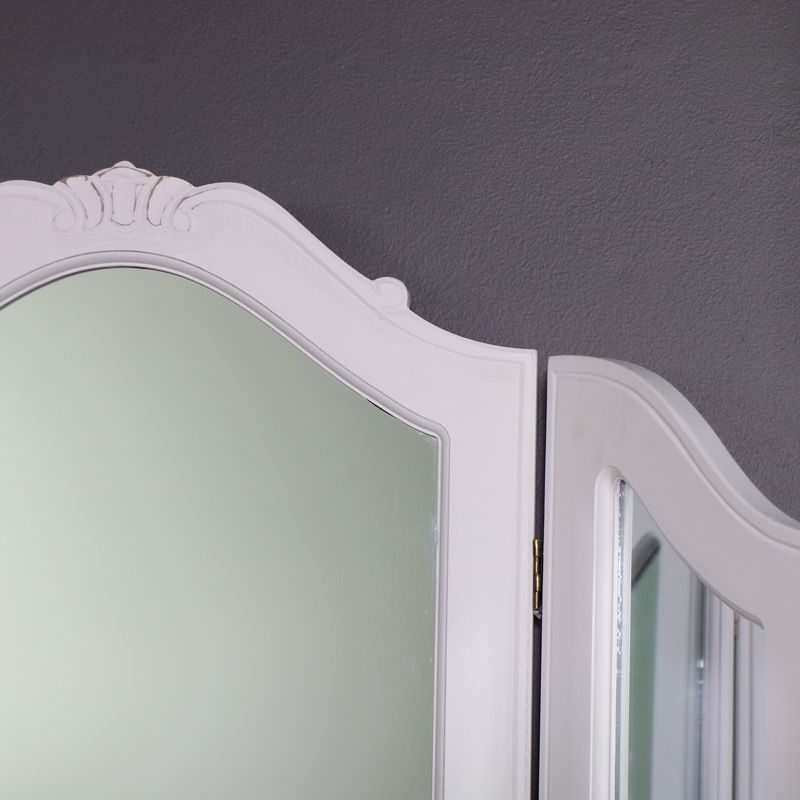 Three panels that allows you to catch all your best angles.